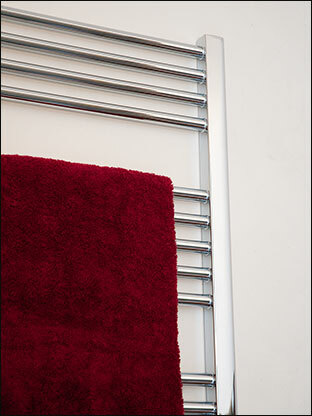 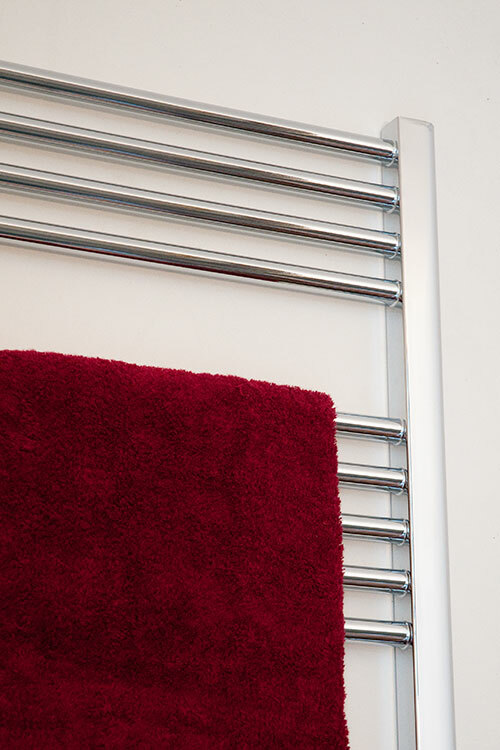 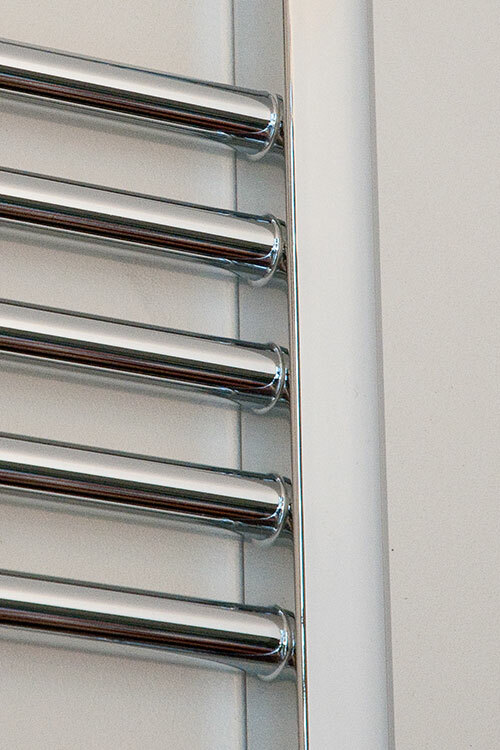 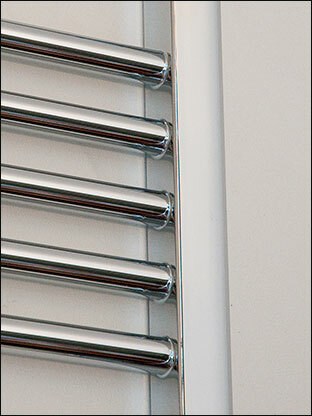 A European manufactured chrome heated towel rail. 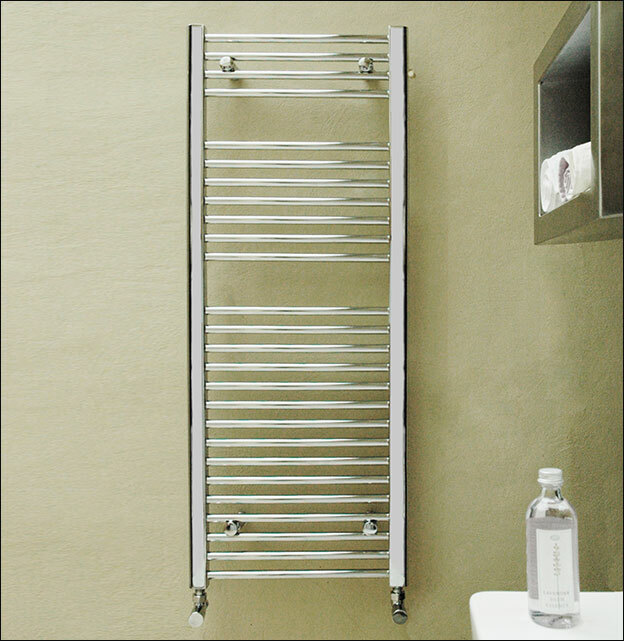 This quality bathroom towel rail comes in 14 different sizes in central heating, dual fuel and electric only towel rail formats . 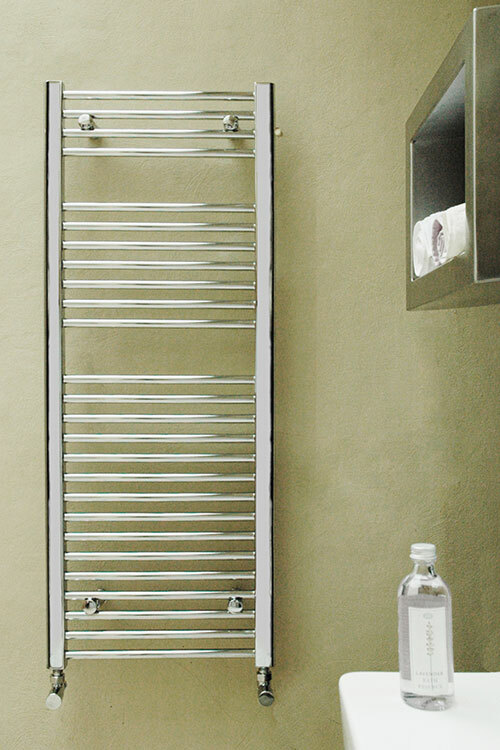 Each towel warmer is manufactured to the European EN442 standard and is covered for 5 years manufacturers guarantee.